This Teacher's Manual is only available in digital format through the Didache Classroom Resource site - www.mtfresources.org. One must have a Teacher account in order to have the option of renting the digital Teacher's Manual. This Revised First Edition of the Teacher's Manual is designed to help the instructor actively engage students in discussions, activities, and reviews that help students learn the important people and events of salvation history. 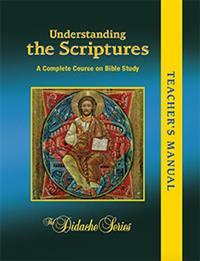 It is a companion to the textbook Understanding the Scriptures: A Complete Course. It is a complete and thorough revision of the First Edition. A collection of Catholic Prayers and Devotions. MTF restricts access to its Teacher's Manuals to ensure they remain an aid to the teacher and not a resource for the student.